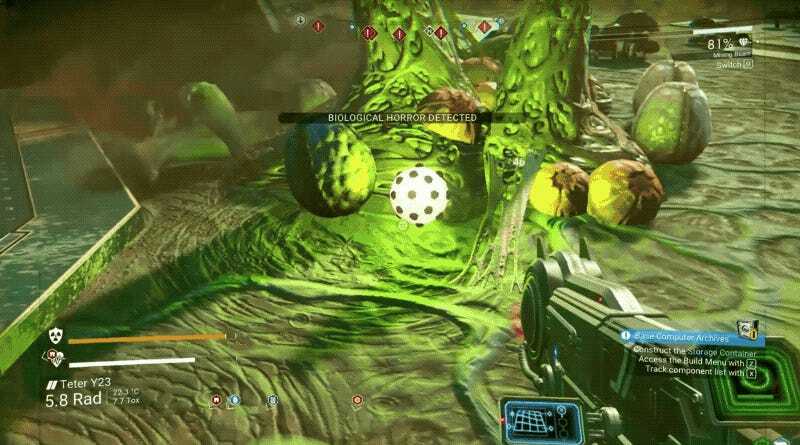 While doing some spelunking on my new home planet, I discovered an item called “Humming Eggs.” When I saw them, I immediately left the cave to craft some ammo. A lot of my friends are also playing No Man’s Sky, and they’d told me stories of encountering some weird eggs, shooting at them, and then being attacked by a bunch of biological horrors. After I geared up I went back into the cave and opened an egg. I was surprised to find that it simply dropped an albumen pearl, a rare item worth around 9,500 credits depending on the system (each star system has a slightly different economy). There are actually two kinds of spooky eggs in No Man’s Sky now. Humming Eggs can be found pretty reliably in caves and drop albumen pearls. “Whispering Eggs” are the ones to watch out for, not just for the creepy monsters that will attack you, but because they drop an extremely valuable item: a larval core. Larval cores sell for about 90,000 credits, depending on the system you’re in. If you want to get a new ship, farming larval cores is the way to go. Whispering Eggs appear most often on toxic, nuclear or dead planets—you know, the ones where you wouldn’t bat an eye at a monster burrowing up from underground to attack you. Whispering Eggs cluster around abandoned bases, though on dead planets they can be found just hanging out in the wild. I did this a couple of time before getting frustrated and turning to my friends—and the internet—for help. The common consensus seems to be that if you encounter a base surrounded by eggs, open a few at a time with your mining beam, grab the core, and then use your jetpack to jump onto the roof of the base. If there are any infected plants up there, watch out, because those will sap a chunk of your health. Once you’re ready and your jetpack has recharged, you can destroy another egg from the roof, jump down, grab it, and jump back up. Eventually the swarm will disperse if the monsters can’t see you, and these guys aren’t actually too smart. You should also keep an eye out for sentinels; as I discovered, they don’t take too kindly to you grabbing these larval cores and will try to shoot you to death. 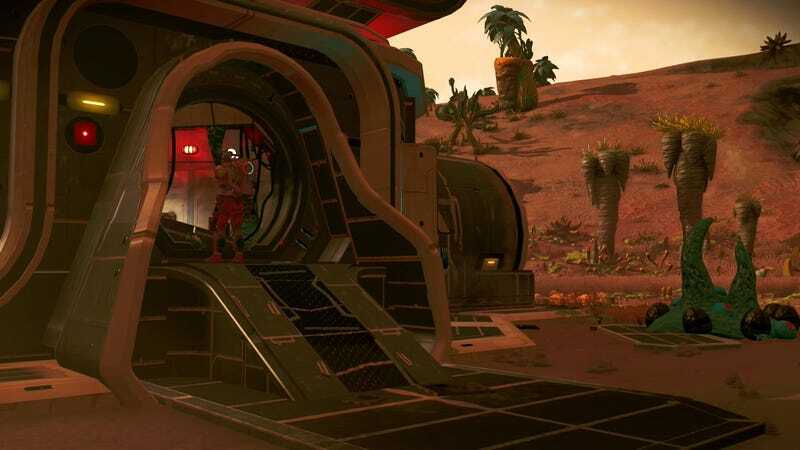 Kingpiin over on the No Man’s Sky subreddit demonstrates pulling of this trick the right way. Good luck and happy hunting, fellow travelers. Hope you have better luck than me.